In this 8-session parent discussion group, participants will discuss parenting beliefs and practices, family routines and relationships, and ways to increase coping, self-care and support. Take time for yourself and meet other parents who share similar challenges and hopes for their children. Presented by Ackerman’s Special Needs Project, this discussion group aims to promote family resilience as parents deal with the challenges they encounter while raising a child with special needs. 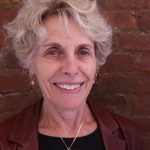 Judy Grossman, DrPH, OTR, is the Director of Ackerman’s Special Needs Project, Associate Director of the Center for the Developing Child and Family and adjunct faculty at New York University. She has lectured nationally and internationally about parenting, family resilience, mental health consultation and early intervention/special education policy and programs. She has a private practice in Manhattan.